Please note: There is a 10% booking/handling fee per order added at checkout. 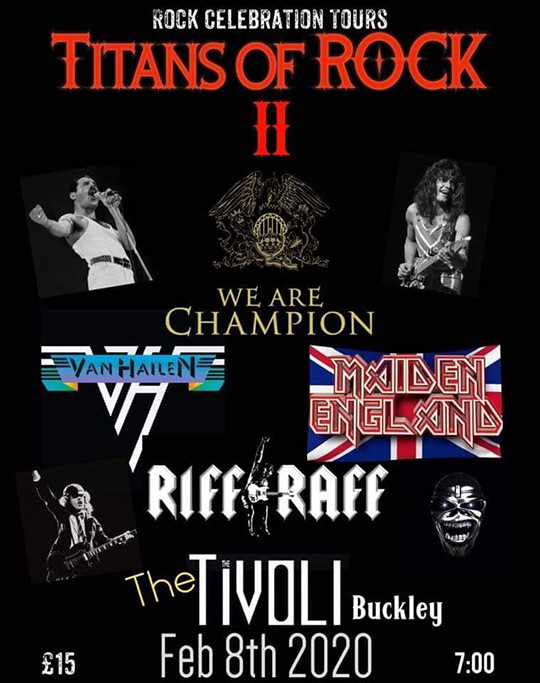 Rock Celebration Tours bring you Titans of Rock II to the Tivoli Venue, featuring 4 top quality tributes from the biggest names in the world of Rock music – We Are Champion (Queen tribute), Van Hailen (Van Halen tribute), Maiden England (Iron Maiden tribute) and Riff Raff (AC/DC tribute). 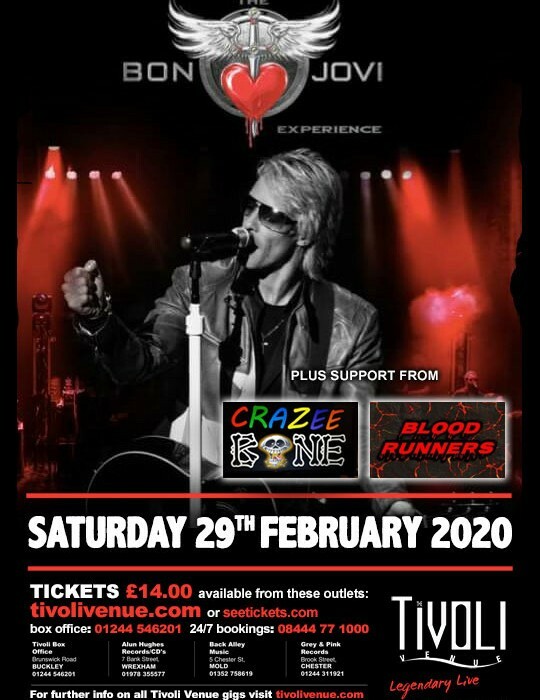 More information to follow in due course…Tickets on sale NOW! SKU: 20_02_08. Category: Titans of Rock II Tickets. Tags: ACDC, Iron Maiden, Maiden England, Queen, Riff Raff, Titans of Rock II, Tribute, Van Hailen, Van Halen, We Are Champion. What about these gigs too?